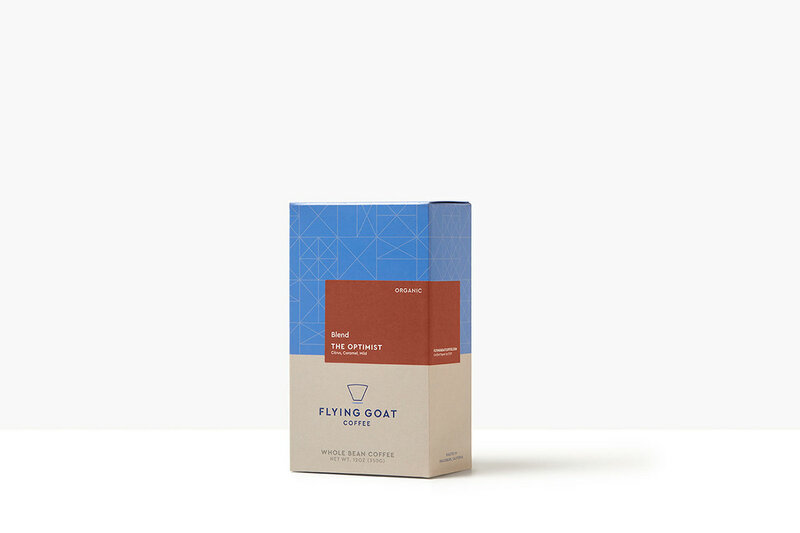 Flying Goat Coffee is a San Francisco Bay-Area based coffee company that sells exceptional, direct-sourced coffees which are roasted daily and sold online or in their Healdsburg and Santa Rosa shops. 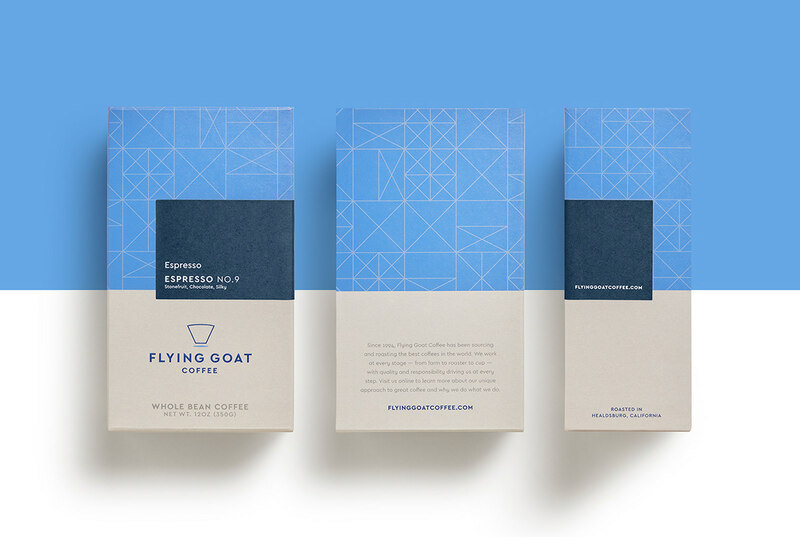 Design Womb partnered with the company to develop and deliver a new brand identity and packaging design that would really reflect the owner's deeply rooted coffee expertise and the quality of what they do in all things coffee. 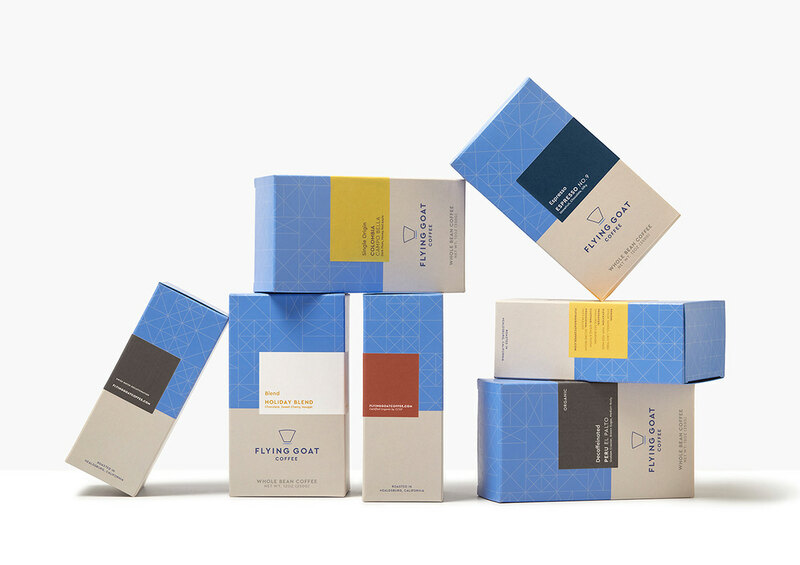 The brand's makeover included redesigning their logo and introducing a new packaging design system utilizing a more eco-friendly paperboard box made entirely out of recycled materials and inks. 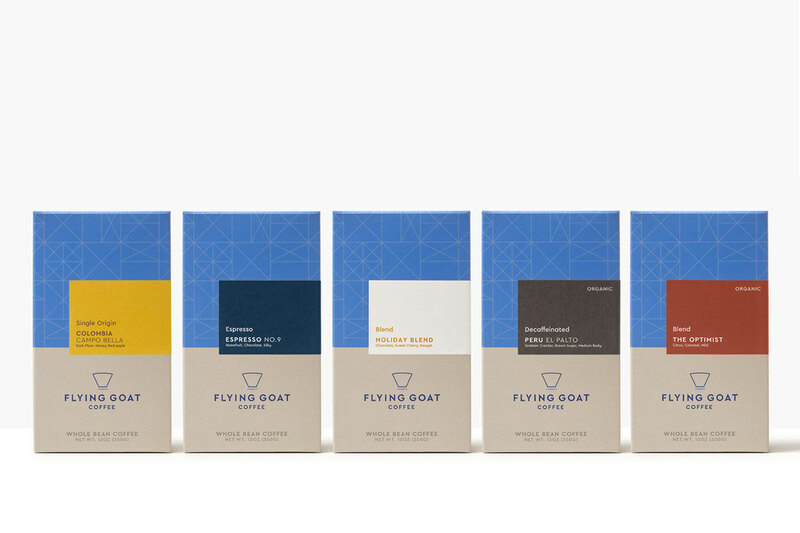 We developed a totally custom branded base box structure which pairs with a flexible labeling system allowing the brand to use the same base box with different whole bean coffee labels as their offerings change throughout the year. 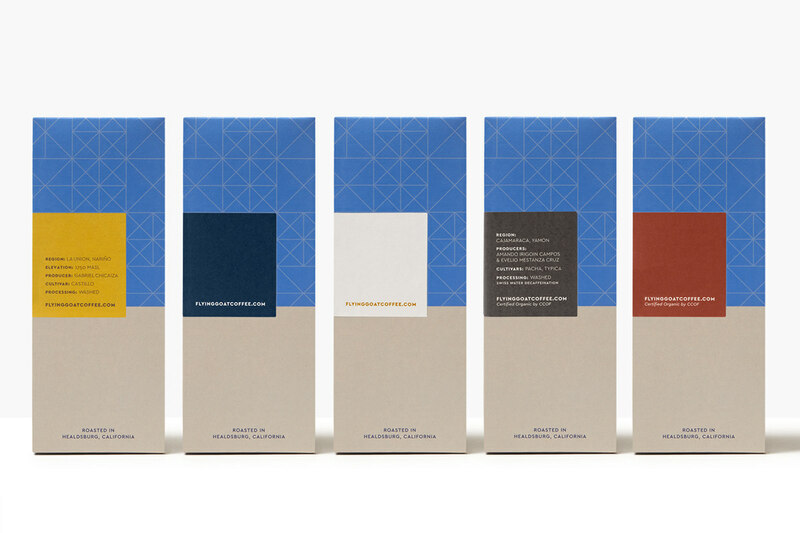 We've also recently helped the company with their new branded compostable coffee bags. Crisp, clean white is paired with bright approachable color for a modern, yet slightly earthy and utilitarian color palette. 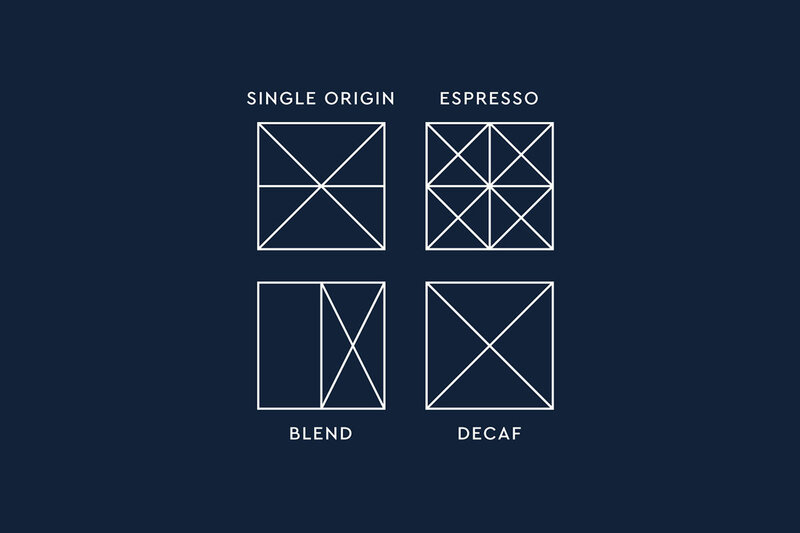 The package design balances beautiful white space with the brand's custom repeat pattern which was created out of geometric symbols we designed for different types of coffee offerings such as blends, single origins, decaf, and espresso beans. 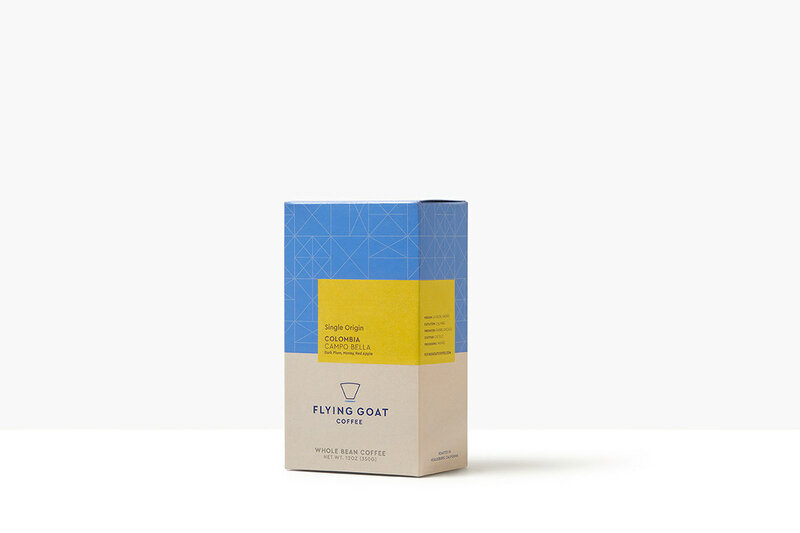 Each box's interior is flooded with a deep inviting navy blue color housing a beautiful transparent bag of whole bean coffee. 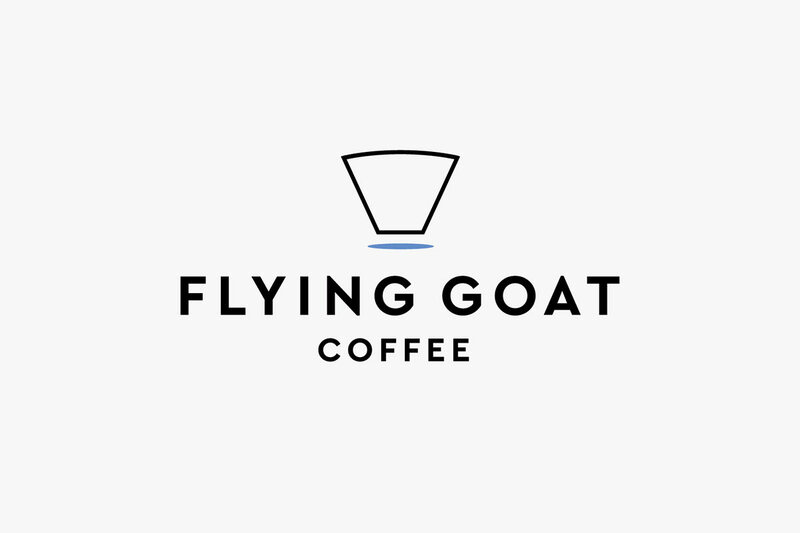 Flying Goat Coffee is all about high quality and an elevated coffee experience, so the logo also captures a bit of the "flying" aspect of Flying Goat, through its simple elevated coffee icon and clean modern typography. 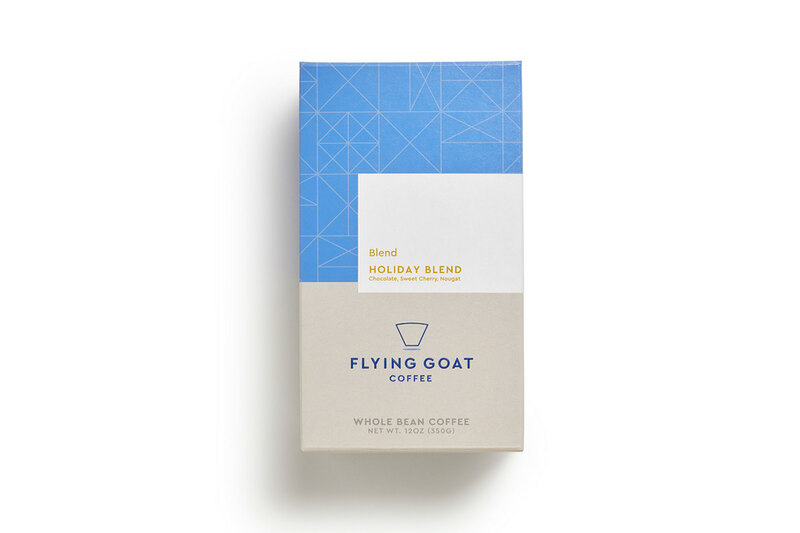 Our art direction for this product photography also takes a no fuss, high quality, coffee done right approach by keeping things simple with a little fun infused.